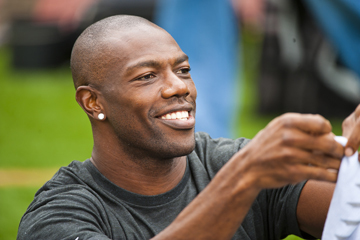 ALLEN, Texas - Terrell Owens has been released by the Allen Wranglers and lost his ownership stake in the Indoor Football League team. The team says Owens didn’t plan to play in two upcoming road games with possible playoff implications. The six-time Pro Bowl receiver also was a no-show for a scheduled appearance at a local children's hospital with other players and coaches.